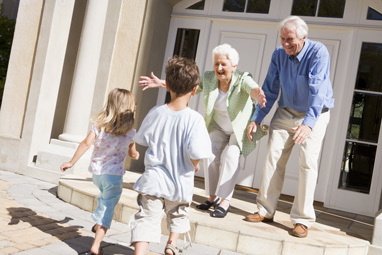 The Parent and Grandparent Super Visa allows the parents and grandparents of Canadian citizens and permanent residents to come to Canada as visitors for a period of up to two consecutive years at a time without having to renew their status. The visa can remain valid for up to 10 years, allowing for re-entry during this period of time. The Super Visa presents older generations of a family to visit loved ones in Canada for an extended period without work rights. Who Can Apply for the Super Visa? Parents or grandparents of Canadian citizens and permanent residents may be eligible to apply for the Super Visa. 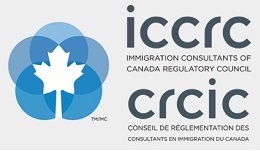 The applicants cannot be inadmissible to Canada on the basis of health or security, and they may be required to meet specific conditions set forth by the visa office through which they will be applying. It is important to note that no dependents can be included on this application. Only parents or grandparents, together with their spouses or common-law partners, may be included on an application for the Super Visa. The Super Visa is ideal for parents and grandparents living in countries that require a Temporary Residence Visa (TRV) for entry to Canada. By obtaining the super visa, they will be able to travel freely between Canada and their country of residence without the worry and hassle of regularly re-applying for a TRV. Applicants from TRV-exempt countries can also greatly benefit from this new provision. They may apply using the same application process. Instead of being issued a visa, however, they will be given an official letter from Citizenship and Immigration Canada (CIC) that will authorize their visits to Canada for up to two years at a time. Proof of medical insurance coverage for at least one year with a Canadian insurance company. The application should be processed at the Canadian visa office responsible for the applicant’s place of residence outside of Canada. Depending on the visa office, additional documentation may be needed. The complete application will be assessed with regard to a number of factors. The purpose of the visit to Canada will be examined, as well as whether parents or grandparents will maintain sufficient ties to their home country. This can be illustrated by showing family ties, finances, and other connections that lie outside of Canada. All Super Visa applicants will be required to undergo a medical examination. Forms and instructions for this examination will be issued by the visa office after the application has been submitted.